This is Jerash in Jordan. 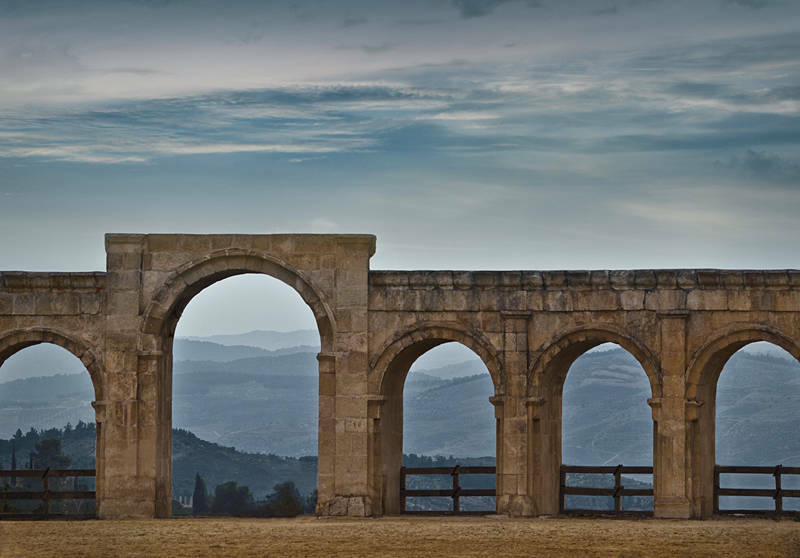 The ancient Roman race track once used by chariots played host to BBC’s Top Gear in their 2010 Christmas special through the Middle East. The sky is blended in from this image in Egypt. To blend it in a solid colour layer with a mask to blank out the stonework was used. The blend mode is set to color. I know your photoblog and I have been very surprised. Besides having some great photos, I see that your technique of retouching samples in them, this is something that honors you. You have my vote for the Photoblog Awards, and a new fan of your work. Thank you Victor. You have some beautiful images too. They have a crispness to them I wish I could match. I have voted for you in the Photoblog Awards too.